The energy efficient AVR750U line interactive UPS system is a cost-effective solution for protecting desktop PCs, network workstations, and a wide variety of electronic devices in your home or office environment. It provides 12 outlets, reliable battery backup, AC Intel DSL line surge suppression, and built-in line noise filtering to prevent disruptive interference from damaging your equipment. This 750VAUPS system features automatic voltage regulation, or AVR, which cracks brownouts and overvoltages without drawing on backup battery power that may be needed to support your equipment during a blackout. This feature also prevents wear and tear on your battery, so it lasts longer. In the event of a prolonged power failure, the AVR750U's HID compliant USB port can be used with downloadable power alert software or your computer's built-in power management tools to facilitate safe unattended system shutdown and save files. The AVR750U's space saving design fits on a desktop, shelf, or almost anywhere and is equipped with integrated keyhole slots for easy wall mounting. 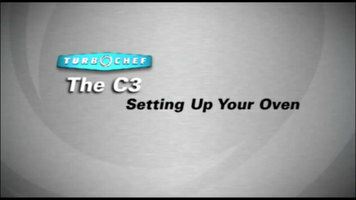 For extra piece of mind, it is backed by a three-year warranty and comes with one hundred thousand dollars of Ultimate Lifetime Insurance. If you're looking for an easy-to-use, economical, feature rich UPS system with automatic voltage regulation and plenty of outlets, look no further than the AVR750U. Tripp Lite's AVR750U UPS system is ideal for protecting your home electronics from any unexpected power surges that may occur. Complete with 12 outlets, the AVR750U has plenty of room for electronics in your home workstation. The AVR750U comes with downloadable software in order to better manage your computer's power management tools. 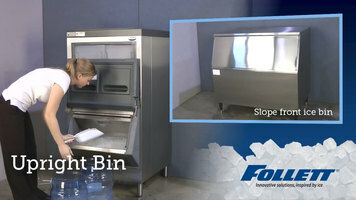 Check out this video to learn what makes a Follett upright ice bin superior to the competition! 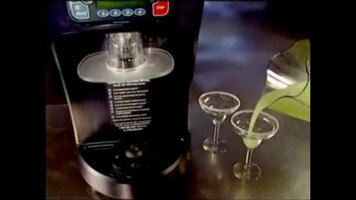 The Hamilton Beach Revolution Blender will act like an additional bartender that makes perfect mixed drinks for your customers. Plus, its 3 horsepower motor, stainless steel shaving blades, and 5 gallon capacity ice hopper make it super convenient.